Kemin Industries in Des Moines, IA, is partnering with Mechdyne Corporation to implement cutting-edge audiovisual technology in its new headquarters building, which will enhance collaboration, greatly streamline workflows, and maximize scientific discovery. Kemin’s bioscience innovations improve food sources, find solutions for human nutrition, and develop molecular solutions and technologies worldwide. Kemin’s new 90,000-square-foot headquarters will house more than 300 employees dedicated to finding molecular solutions that help improve the lives of others. Mechdyne’s technology is designed around these employees’ workflows and collaboration needs, providing user-intuitive technology solutions. As partners, Mechdyne and Kemin worked together to analyze user workflows and company culture to optimize technology choices. 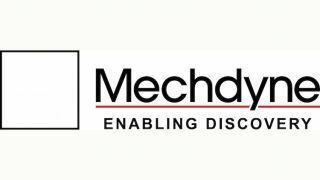 Mechdyne’s strategy focuses on tailoring technology to clients’ needs and culture while retaining flexibility, scalability, and efficiencies as company workflows, goals, and teams evolve over time. Kemin’s ultimate technology solution was determined through Mechdyne’s consultative approach—Mechdyne’s team observed meetings and collaboration sessions, interviewed power users, and tested technology efficacy. Kemin’s new collaboration spaces will include intuitive user interfaces, innovative enabling software, audiovisual components, displays, and high-fidelity audio systems for 61 private offices, 11 conference rooms, two training rooms, a boardroom, and miscellaneous collaboration areas.